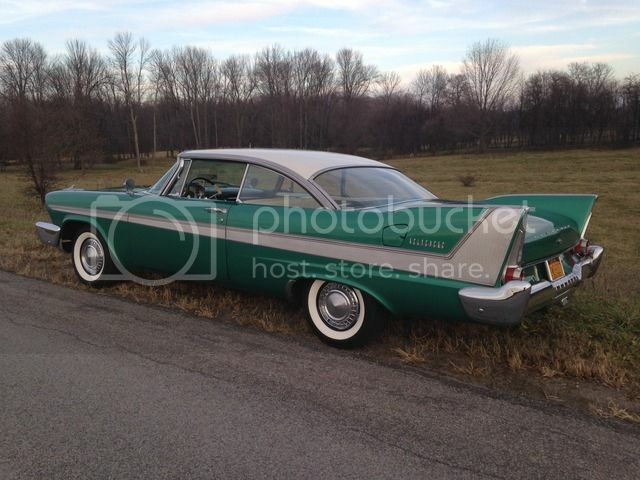 Location: Rochester, NY I have a 1958 Belvedere that has a 1964 318 in it. I have reason to believe it's 1733496 Thompson Power Steering Pump is off the original 318 that came in the car. I have power steering at cruising speed but at idle there's no assist at all. Has anyone seen a pump slowly fail like this? Anyways, I can't seem to find a replacement anywhere and before I remove it and send it off to a rebuilder, I thought I'd check here to see if anyone has any suggestions or if anyone may have a known good replacement pump. PS...I hesitate sending it off to a rebuilder because I know I could hear back that it's not rebuildable. Location: Chestertown, NY ( near Lake George) Has this been a slow deteroration? If so sounds like it could be a pump issue, without a pressure test, hard to be sure. Location: Rochester, NY I bought the car in early 2015. It had the problem when I got it. 3+ years later it seems like it's getting worse. Location: Chestertown, NY ( near Lake George) To be sure a pressure test should be done, or you could try flushing the system, the symptoms do point to a pump issue. Location: Rochester, NY Thank you...I'll give him a call. Location: Santa Fe Texas I have a business ( YouTurn power steering conversions) that will go on Ebay starting in Jan 2019 that builds Power steering kits for 1957-1960 Plymouth and Dodges only at this time. Your 64 Mopar 318 should be the same as the earlier poly's. I have a bracket and pump kit that should work on your engine. These are guaranteed pumps and I have a complete kit w/ bracket ,pump/hoses,gear and column kit on my personal 1957 Savoy that works great. If you could send me photo's of your pump bracket attachment points I should be able to tell if it will fit. I decided to build this business because there are no others that cater to the earlier mopars steering problems. Send photos of your 64- 318 front water pump housing view and your current pump and bracket. to--floydyouturn@hotmail.com. thats a saginaw power steering pump kit. They are not rebuildable if they fail or get chewed up. They look like a 6 shooter inside, and you can normally find them fairly cheap on ebay. I took mine apart and cleaned it, put a new seal on it. Check tolerances... replace if needed.